For the Cridge Street module, I used PECO code 83 flextrack because it matched the turnouts and was available in both wood and concrete ties. 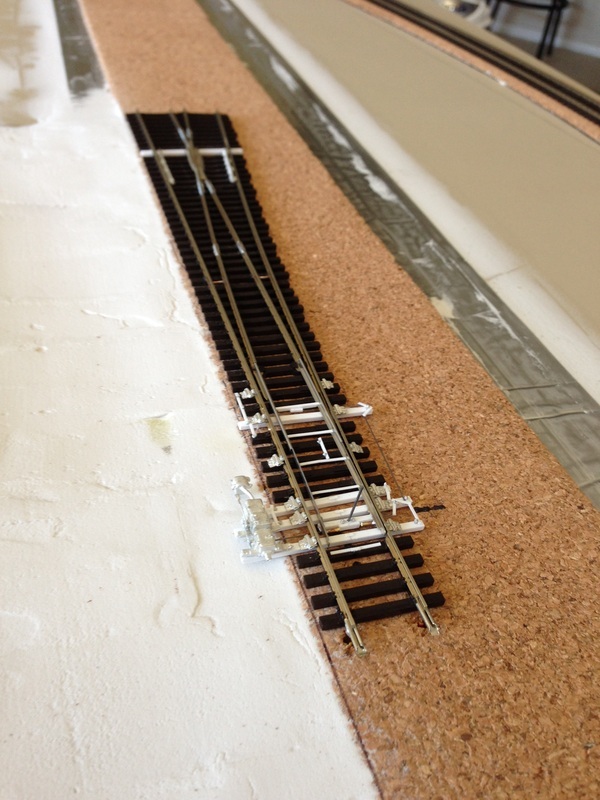 Feeder wires for track power were soldered to the underside of N scale rail jointers. BNM Hobbies tie plates were used at the end of the module to fix the rails in place. 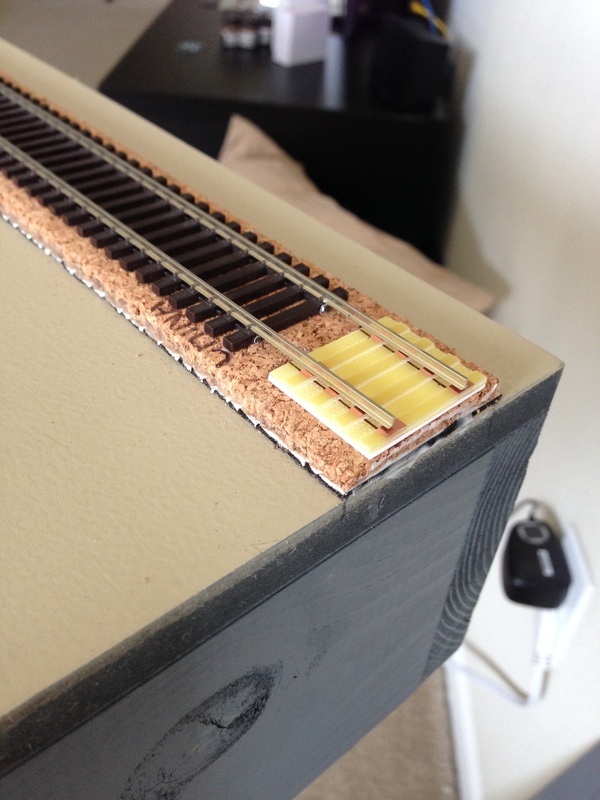 After the track was installed, rail bars were added in several places to match prototype pictures. The flextrack was held down to the cork using track spikes. I made sure that the spikes did not go through the cork and into the sound deadening material, because this would allow any vibrations a direct path into the wood sub-base and nullify my attempts for quieter roadbed. The detailed turnouts were positioned over the slots for the Tortoise switch machine linkages. I made absolutely sure that the turnouts were level, which is important for smooth operations. 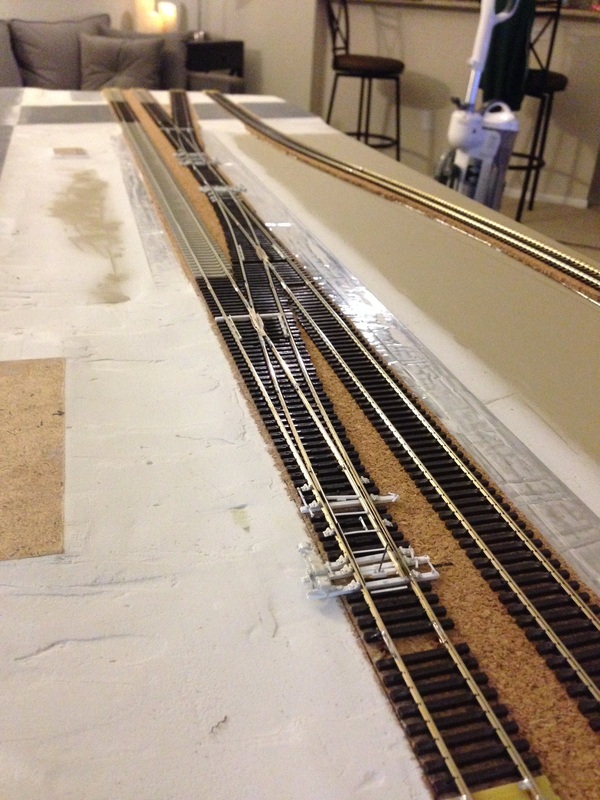 After the turnouts were set, the remaining trackwork was finished around them. Turnout positioned over the Tortoise machine linkage. 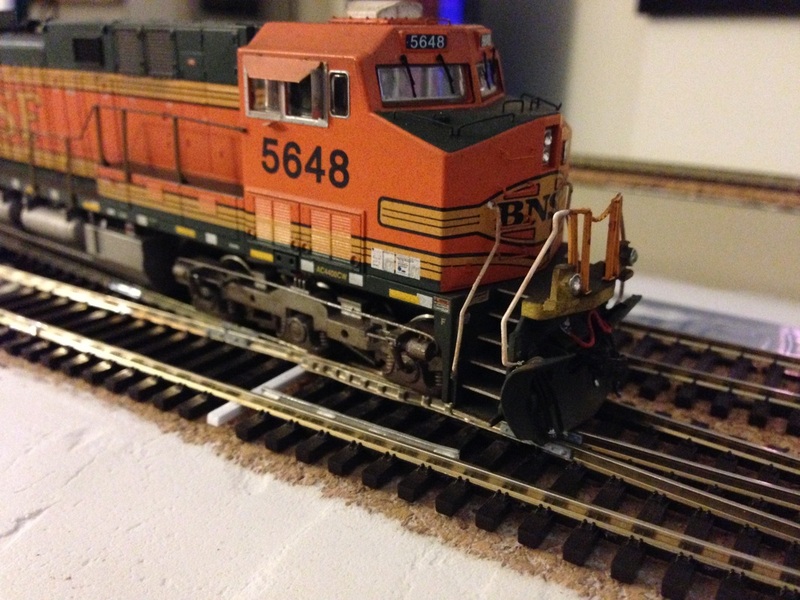 Power is supplied to the track through the N scale jointers. 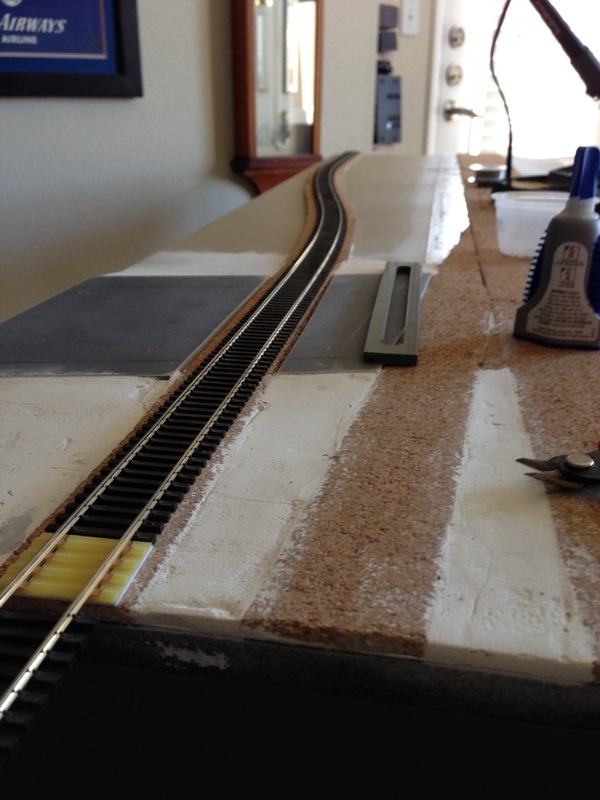 After the track was laid, it was tested against a NMRA track gauge to make sure everything met standards. 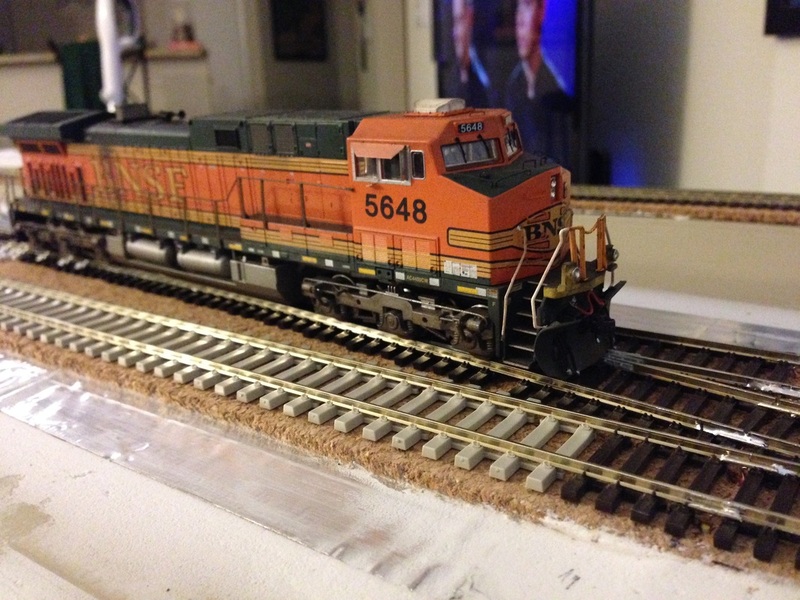 I also used several pieces of equipment to do roll tests over the turnouts and track joints.